For Trace Wallace, there are many routes to the top, and it often takes a single breakthrough to make a leap forward in the project. An avid outdoorsman, he applies this philosophy whether leading a complex project or completing his next rock climbing adventure. Being present in the process allows him to learn, build trust and inspire teams to explore new pathways. Trace approaches each project as a designer, helping clients leverage the power of Agile, behavioral psychology and design thinking to build better, smarter, simpler user experiences. 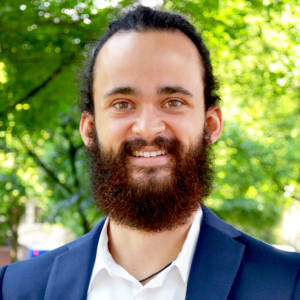 His background includes roles at Teach for America and for Deloitte, where he worked on business transformation for a cyber security implementation. Trace holds a bachelor’s degree in economics from Occidental College and a master’s degree in urban education, educational policy and administration from Loyola Marymount University.